This rural town in the Philippines are lining up the countryside with Mediterranean inspired pastel colored houses dwarfing their traditional counterparts made of unpainted concrete blocks under roofs of corrugated galvanized sheets. The larger houses, barely inhabited or if ever it has been occupied it can be a caretaker of the house which usually an immediate relative that maintain the place, but many of them are empty. These houses belong to overseas Filipino workers (OFW) who plan to return here one day. Despite their absence, the overseas workers have contributed money to help build infrastructures usually the responsibility of the local governments. In one village of this town nicknamed “Little Italy”, where 25 percent of the 1,200 residents here are working in Italy. 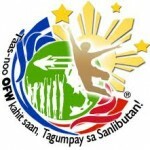 They, the OFW have contributed 20 percent of the cost to construct the village public hall. The barangay chairman, Raymundo Magsino, 64, said that they could have not finished the project without the overseas workers’ help. About 15 percent of the 42,000 residents of Mabini, live overseas typically working as maids, nurses or service workers. In a survey,the overseas workers themselves were asked as to why they have to leave their family and prefer to work abroad. Nonetheless, they have a common ground that the country’s economy is bad and salaries are low that it cannot sustain the life they wanted for their children and family. The town mayor, Nilo Villanueva has often heard these complaints from the overseas workers themselves where he was elected in 2007 by campaigning and championing their interests. While Mr. Villanueva has sought overseas workers’ investments in a feed mill and other projects he is a little bit worried about the town and country’s reliance on overseas workers’ remittances. Many people now, he said, have become lazy because of over dependence on these remittances. According to him, the municipality not only counted on investment from its overseas workers, but also had become dependent on their earnings in less direct ways. Most overseas workers here send their children to private schools with better facilities compared to public school. “They are helping the municipal government because we are spending less on public schools,” The mayor admitted. While the government has welcomed the overseas workers remittances, it has done too little to ensure their long term financial health, critics say. Atikha, a private organization here said, that overseas workers tend to invest in houses and vehicles that remained unused for years and most of them can’t come home because they have to keep working to repay their debts. For most global OFW, it is the only way to keep their dreams alive despite the bitterness about having to leave their family for greener pastures. It has become a trademark for people who just wanted to alleviate their family out of poverty. Until such time that the Philippine government can do decisively in turning the country’s economy to prosperity, Philippine dependence on global OFW is here to stay, a thriving entity in a bad economy indeed. Can Early In Life Nutritional Deficiency Lead To Arthritis?